It comes as a great shock that restaurants who are either a popular chain or small mom and pop joint are on social media, but some are not quite taking full advantage of the power of social media. Some restaurants have abandoned their profile pages without posting for weeks or even months. Ask yourself, when was the last time someone spotted a tiny black and white ad in the LA times? Social media is the new classifieds and if you’re abandoning your profile or posting every so often you will not be seen. What surprises me is that restaurants are not trying to understand the crux of social media. You sign up, create a Facebook page, upload a cover photo, post a few photos of your menu items and Instagram every meal of the day, then what? Wait for likes and followers to magically appear on your profile? NO WAY! Social media is a one-on-one conversation with your audience. You build your audience by engaging, responding to customers and researching potential customers. 95 percent of adults between ages 18 and 34 were said to most likely follow a brand because they reached out to them or responded to a comment. Reportedly, 71 percent of customers who have had a positive experience contacting a business through social media are more likely to recommend them to others. These statistics are proof that engaging works! Social media conveniently allows direct interaction with your audience. It's your duty to take full advantage of it. Some restaurants prefer Facebook, over Twitter while others prefer Instagram or SnapChat. You don't need to be on every platform out there, but if you are reaching enough fans on each platform, then make sure you are regularly active. It is your duty as a social media marketer to use all the platforms to their maximum use and reach out to your audience. With that said, just remember that each platform has a different target audience. Conduct your research. A number of restaurants cater more to paid forms of advertising, including TV commercials or magazine publications or even newspaper ads. Then they spend what's left over on social media advertising. Any kind of advertising needs a strict budget to follow in order for it to work well. 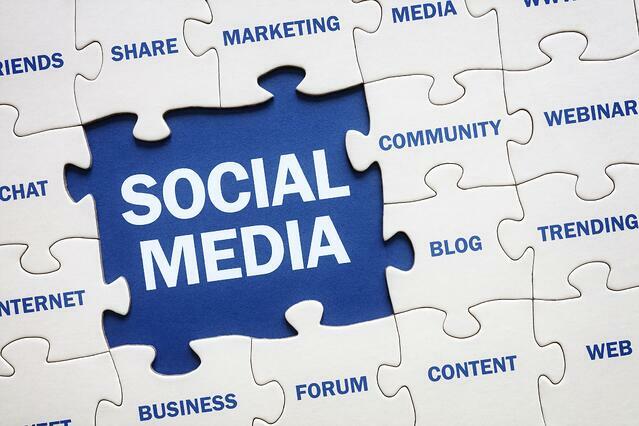 The rule of thumb is to keep 40% of your advertising budget for social media. It is great to build an organic audience on your social media profiles. However, every once in a while it is even better if you invite food bloggers, influencers, or even give it your best shot to network with social media celebrities with a large following to dine and hang out at your location. This will gain trust from potential customers. According to Nielsen's Harris study, 80 percent of Americans seek recommendations when making a purchase, which is all of the reason to reach out to food bloggers or influencers. Think of social media as your duty as a restaurant owner, manager or marketer. Avoid posting just anything. Stay organized each month by creating a social media calendar. This will help you strategize your posts. Think of posts that will gain shares or retweets and, of course, likes. Engage with your customers: responding to tags or comments by either thanking them, coming up with solutions to concerns or starting a conversation. Your photos should be appealing and delicious to look at. Use proper lighting so your images are clear and sharp. The captions should be playful and fun. Use appropriate humor or catchy phrases. Your social media marketing for your restaurant should involve an effective strategy that propels social media users and attracts customers. There are many different reasons why your restaurant is suffering on social media and these are just a few. Making a comeback is not impossible, but requires tackling your mistakes head on. By confronting your social media weaknesses, your restaurant will be able to move forward and enter a new realm of endless possibilities. Making a good impression or even leaving a great impression on fans is one way to build your brand on social media. By engaging with users it will help you build your audience and gain word-of-mouth. Don't waste any time. Get to it!